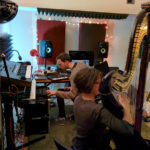 The Noisefloor is a new take on the traditional music studio, offering DIY sessions for self-sufficient audio practitioners. Here we explain the inspiration and thinking behind our unique setup. 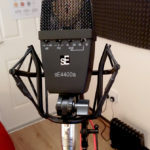 With an increasing number of people using the studio for voice recordings of various types, we decided it was time to invest in a new microphone, especially suited to the job. We’ve also got some new speaker stands to make the Genelec monitors sound exponentially better.